If you are wearing other colors, shake like Jell-O. Then please shake like Jell-O. This month is all about colors! Here is a fun song to sing about colors. At the end of each verse, see what you and your child can find of that color. Keep the song about colors. Edna knows there has got to be more than black, white, and blue in her world. 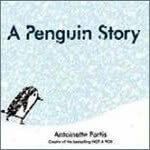 Follow her on her quest to find more colors in A Penguin Story by Antoinette Portis. Everyone in the family can work together to make a huge rainbow craft. These games will teach your little cutie the basic concepts of color.